Lately, I am constantly thinking about my next step and what I want to do. I think this has something to do with being in school, and realizing each thing I do, leads me to a different path. This is a dangerous game to play, to analyze every step of what could have/would have happened. These statements never really help us, they only hinder our progress. 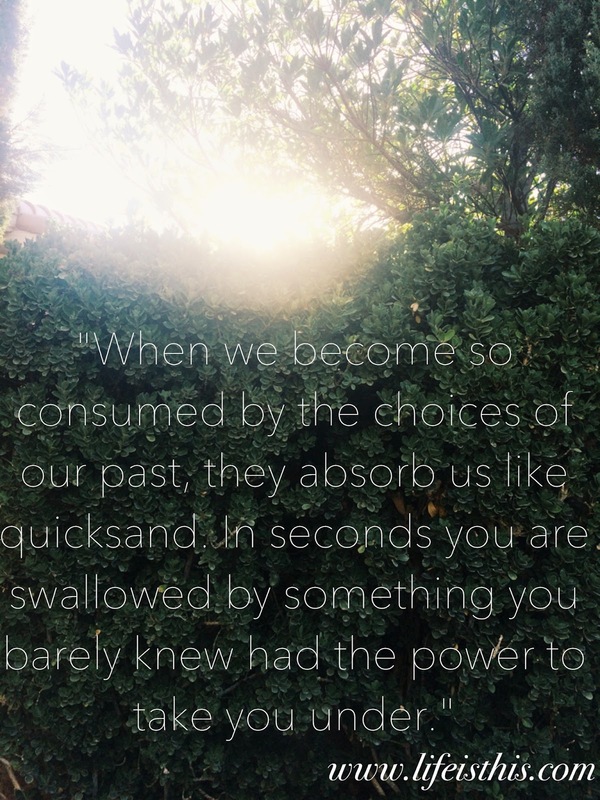 And when we become so consumed by the choices of our past, they absorb us like quicksand. In seconds you are swallowed by something you barely knew had the power to take you under. Lately, I try to focus on being in the present, but I also try to focus on why I am doing what I am doing. I remind myself each and every day that the process is part of the beauty of the journey, and good things really do take time. This can be difficult when people have stopped caring about the process and only care about results. The world used to be a place where people worked hard every single day towards something. People stood for more than products they were paid to like and photos that exposed most of their body. People had talent, and worked endlessly to perfect their skill. Now we live in a time where people want everything fast, and instant results. Instead of talent they focus on mere recognition. Instead of hard work they find the right hashtags. Instead of years and years of doing what they love, they spend the least amount of time possible just hoping to be acknowledged. I trust the process. I trust my love for writing. I may not be exactly where I would like to be, but honestly, I am so happy with this season of my life. I treasure each day I get to move closer to my goals. We often get muddled in what “could be”. We often see people getting copious amounts of recognition for petty things. What we love and what we pursue as our purpose represents who we are. When we are willing to spend each day striding towards a bigger goal, when we live for something bigger than us, that is when we are benefiting ourselves and the world. It takes time to make an impact, but it also takes heart and soul, and reminding ourselves that distractions along the way cannot keep us from why we originally started our journey. I received an email from a company asking me to talk about a product and they would pay me. They didn't want me to test the product, but instead just market it. Use the right words to make people love it. It’s money, it’s a promotion, and it would probably lead to other opportunities along the same lines. I denied the opportunity. I did not begin this blog to tell you to love something and make money off of it, I am living for something larger than that. To give those a voice who don’t have one, to share a story so people know pain is only temporary, to use my words as a platform to better the world. It may be a long journey, but it’s a beautiful one. Staying true to yourself and keeping your eye on the bigger picture is key. 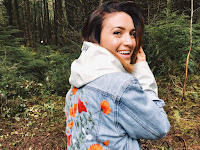 I love this sentence: "It takes time to make an impact, but it also takes heart and soul, and reminding ourselves that distractions along the way cannot keep us from why we originally started our journey." So wise and so true!